Becky Gayle always thought her granddaddy's tales about the mythological Sheepsquatch were just that, myth. But one dark and stormy night, she and her soon-to-be-ex boyfriend are caught outside by the beast, and she learns the hard way that all the stories were true. Duncan's been in love with Becky from afar for years, but thanks to the truth about his nature, he's always been afraid to profess his feelings. When he learns a secret about her boyfriend, he has to step in to save her from the danger she isn't even aware she's in. And in doing so, he risks his heart and his very life. "Sheepsquatch" is a horror romance parody, featuring shape-shifting, bawdy humor, murder, mayhem, and legendary folklore. A short story coming in around 12,000 words, it's best not taken seriously. Join Max Cutter in this action-packed, laugh out loud, adult fantasy thriller from Amazon Dark Fantasy & Horror Occult Best Selling Author, Jacob Tate. Max Cutter is one of the world's most influential supernatural and paranormal experts. The bulk of his time is spent traveling across the globe in search of video and image evidence of myths, legends, ghosts and demons. Using his print magazine and website, Supernatural Pudding, to publish his exclusive findings, Max has developed a dedicated fan base that spans six continents and hundreds of countries. Over the years, Max's perilous encounters have included run-ins with goblins, zombies, and aliens, to name just a few. But when an entrepreneur and his daughter from Wales contact Max to ask him to help retrieve The First Black Book, a timeless text whose words hold incredible power, Max finds himself thrust into the middle of a deadly war between an ancient evil and a handful of warriors of good. Filled with traditional horror, supernatural monsters and tons of adult humor as seen through Max's eyes, The First Black Book sets the stage for an exciting new series that anyone with a taste for Sci-Fi, horror, paranormal monsters or an occasional 80's joke will love. I don't generally read a lot of urban fantasy, but I have high hopes for this one. A three-part alternative history sci-fi novel sounds rather ambitious, but I really like the sound of this one. I always keep one title on hand that I'm reading simply because I want to, not because there are any review commitments. Absolutely stunning - I don't mind taking my time with it at all. 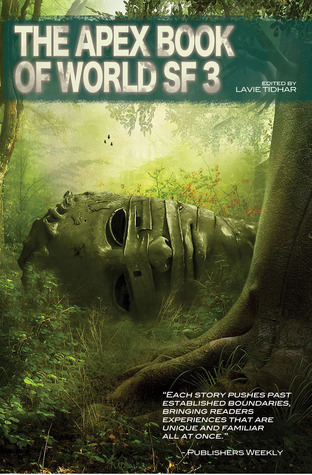 adventure horror Mailbox Monday sci-fi Stacking The Shelves suvudu What Are You Reading? Good thing that first one is done as a parody - would never work straight! OOoh nice! More new to me reads but I hope you enjoy them all! Not this week, Dez, but I've got some big epic fantasy titles up for review next month. I always enjoy seeing what you get as we have some tastes in common. Thanks for visiting. I was like completely hypnotized by the Sheepsquatch book when I saw it up on Netgalley. COMPLETELY HYPNOTIZED. Just couldn't stop. Staring. At. That. Cover. And. Title. I've got a few scheduled reviews this week - one of my books I think will have a character turning into a mermaid! Otherwise, straight historical fiction for me this week. All of these are new to me. I hope you enjoy them. Come see my week here. Happy reading! I seriously enjoyed A Turn of Light. I thought it was a bit longer then it needed to be but I still really enjoyed the depth of character building she went to. Deadly Curiosities looks like a good one, I hope you enjoy it! Thanks for stopping by my It's Monday post! Max Cutter sounds like it might be the beginning to a very good series. Happy Reading!